I have been paying some serious attention to my skin, pampering it with CTM routine, weekly face packs and face oils, the result being well behaved skin with an even complexion. I don't need to use foundation or concealer on my skin these days and BB cream is enough to lightly moisturize and cover minor blemishes. I have tried many BB creams like ponds, Garnier, Maybelline and fair and lovely but I find Garnier and ponds suit me the best and are total value for money. In this post I am going to compare the two most pocket friendly and fantastico BB creams in Indian market to see which one fares better. Price: Price matters a lot doesn't it? Both these creams are reasonably priced but there is a slight difference in price and Garnier easily wins this round . Shade selection : Both these BB creams are available in just a single shade which is a warm beige suiting most normal Indian skin tones. 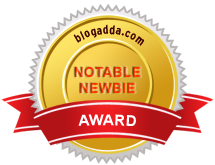 Beauties who are on the more fairer or the darker side need to try different options. Packaging: Ponds BB cream comes packaged in sleek white tube with silver cap and a long nozzle. I did not like the old packaging of the Garnier cream which wasn't very compact but the new packaging is similar to ponds coming in a biege sleek tube with a silver screw cap. Both are packaged in a nice travel friendly way so this round is a draw of sorts. Texture: The ponds BB is thicker compared to the garnier BB cream . Ponds is more on the creamier side while Garnier BB cream is runny . 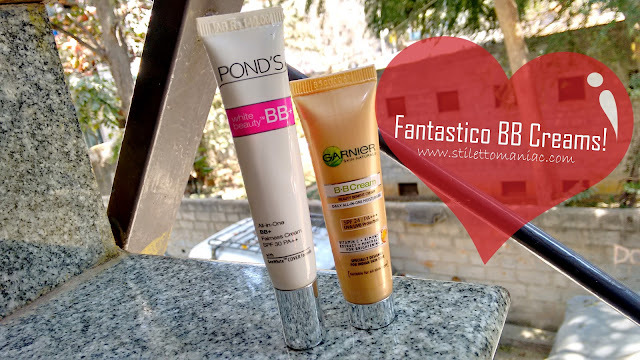 Coverage : Ponds BB cream being creamy and thicker gives a better coverage hiding minor blemishes while Garnier gives just sheer coverage and can be used to even out skin complexion more like a tinted moisturizer. Blend Factor: Since ponds BB cream is thick it is more difficult to blend in and can look artificial with a white cast if not applied properly. Garnier BB cream is runny and gets absorbed quickly into the skin for a natural finish. 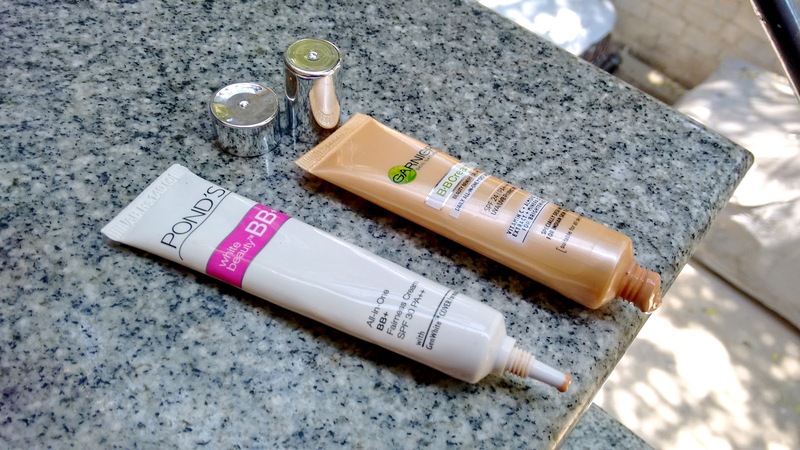 SPF : Garnier BB Cream has SPF 24 whereas Ponds BB Cream has SPF 30 ++, the difference isn't too much and you should anyway not depend on BB creams to provide complete sun protection so we will leave this alone. Staying power: Both ponds and Garnier BB cream have similar staying power staying for about 4-5 hours. Water proof: Both these creams aren't waterproof . I prefer using the ponds BB cream because it gives more coverage and covers my light dark circles and spots around my nose nicely. It is a bit difficult to blend so I use a damp Basicare sponge to apply it evenly. Ponds cream is more drying than Garnier BB cream but I have combination skin so I can manage with it. The Garnier BB cream is more moisturizing and will suit beauties with flawless skin who need just a tinted moisturizer. If you have dry skin this BB cream is the right one for you to get a nice natural dewy finish. Final Verdict: I personally prefer ponds BB cream as the coverage it gives helps me to skip my foundation and concealer. If coverage isn't what you want from your BB cream go for Garnier cream which is moisturizing and looks more natural. Even I swear by Pond's BB cream and it gives an awesome coverage!